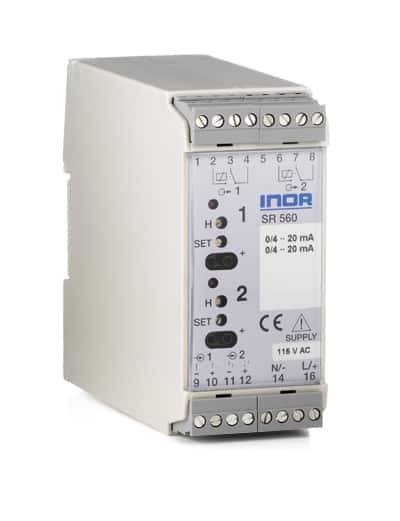 SR560 is designed for monitoring mA or V signals in the process industry. The two channels are fully independent. The SR560 is specially designed for reliable safety triggering without false alarms. High configuration flexibility allows for adaptation to required alarm functions.